As the Name suggest Perfect value is planned chain of departmental stores proving products of all basic necessity in the valley Uttrakhand. 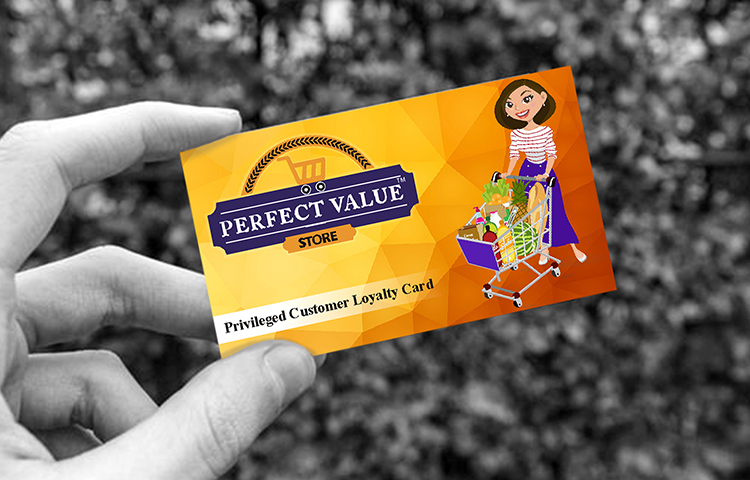 The store is started with the concept of providing best value in appropriate prices to its customers. 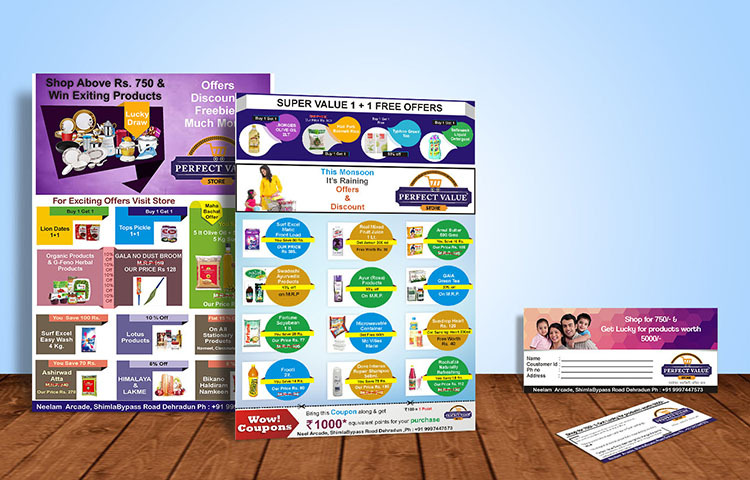 Corporate Identity including logo, Visiting cards, Letterhead and tags for the store. 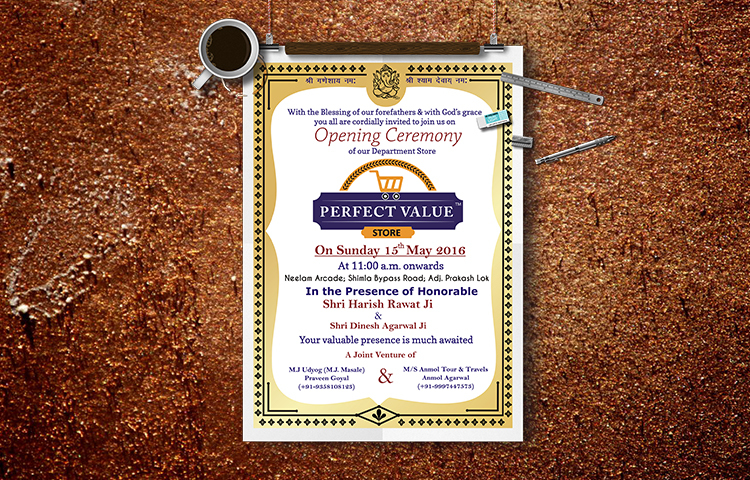 Formal invitation letter for the launch of the store. Learn more about our Graphic Design Service. Read why designers Say No to Comic Sans font style.